The Lullites speak about the alignment vibration of this numerical phenonmena and also about why this is an inspiring momentum for Earth and humankind. Read the text after the audio for a full transcription of their words. Hello, we are the Lullites. We have received your question about the number 1111 (eleven-eleven.) It is a very common question, with many different answers. From our point of view — the raised vibration — we look at the simple alignment of energy that is represented by the four ones. 4 is always a number of balance and 1, of course, is a number of the beginning. Beginning, actually, exists at nothingness, at what you would call 0. But the action begins at 1. This means that when you see four ones, you have complete balance, complete newness and the beginning of movement in a new direction. The complete balance also exists within the Oneness, the Source from which all things come. 1111 is a moment of Oneness and is always a sign of a new beginning, the momentum beginning to move in a different direction. It is a very light energy and taking a moment to be in that complete alignment, that complete balance of new beginning, adds more light and more Oneness to the world. Of course, 1111 (eleven-eleven) has always existed, but people are now beginning to see it, to see it often enough to realize that there is a shift occuring on your planet or, at least, in your reality of your planet. Of course, this couldn’t have been so in the ancient past because you didn’t have these simple, what you call, digital clocks now. The representation, the visual representation of time was such that you could not see simple numbers in alignment as you can now. And, of course, the recognition of 1111 was not so prevalent when your digital clocks first came into existence. It will begin to occur more and more, and people who have very little self or spiritual awareness at all, will begin to take note of it. And every time you take note of it, it creates a subtle shift in energy within your own body, within your own aura or chi energy. It is a way of the energy shift that is subtly occurring all around you, helping to prepare you for its ultimate manifestation. And the same time, if you pause and contribute your awareness, your recognition of a new beginning, your recognition of the state of Oneness that all things exist from the same thing — if you pause and contribute this awareness simply by thinking of it, acknowledging it, smiling at it, you contribute this awareness to the entire globe and it helps to subtly shift into that place of peace and joy, the higher dimensional spiritual energy toward which your planet and everything on it is currently working. So you can see the symbiotic relationship. The 1111 occurs, you see it, it helps to subtly shift your energy. It is working for you. 1111 occurs, you notice it, think about its positive attributes and you contribute to helping the shift occur. And so you are helping it. All things are converging to try and bring your planet to the next level of vibration, one which is, of course, much closer, much more like the Source from which everything originates. That is a level of vibration, a level of reality that is closer to loving Oneness. So, when you see 1111 (eleven-eleven) or its counterpart 222 (two-twenty-two)— the balance, the new beginning, the birth of light — pause in whatever you are doing, take a moment to let the vibration of it sink into you and a moment to allow your vibration, your support of the overall higher vibration, the higher intention, the moment of balance and alignment that is 1111 to simply be. And when the moment passes, go on about your day. You will see these convergences of numbers when most need to see them, when they can have the most positive effect on you. As the Earth begins to raise its vibration, it will eventually reach a point when numbers have no meaning or rather numbers when seen are seen as their energy rather than their supposed numerical value. It is their energy that makes things what they are. For now, let the positive energy sink into you and know that you and the world are heading for a better place, a place closer to spirit where the true positive things that you long for and that the planet needs can simply be manifested through the intention and the love of all conscious beings. Continue on your own path toward consciousness and let the new beginning continue on its path. In love, we thank you. Namaste. I kept seeing 11:11, now i see 1111. I think the connection has gotten closer. I have an angels number book (at home – not there right now) and would be happy to look it up for you. my mom passed away 8 weeks ago at 11:11pm. since then i have glanced at the clock over 5 times and was surprised to see it was 11:11. this has never happened to me prior to my mom's death. i went over to her house on 11/11 and when i walked in the door i glanced at the time and it was 11:11. tonight, missing my mother desperately, i got up to turn on the heat and the time on the thermostat said 11:11 – i checked my clock and the actual time was 10:23. i would welcome any thoughts on what i have shared. 11:11 on 1/11/11 and because it was a text it had another 11:11 1/11/11 on the same screen …i felt something saying…do you get it yet? But I don't…. My daugther Hannah was born on the 11.11. 2007. It was like a miracle. in 2003 i got a text message from my 8 yrs son at 11.11 saying : BABA… it's weird as BABA in my language means GOD. In 2005 a small GOD picture which was on my night table slide by wind on to my book ( i had my MBA exams) guess what the clock was indicating 11.11… recently i met a guy ( i am divorce for 5 yrs ) all by coincidence and his date of birth is 11/11……I have faith in GOD and believe in his power. May there be peace, love and harmony in very soul. almost everyday i always saw the number 11:11 every time i see the time on my computer and now even in my cell phone,movies,and elevator this is very strange and until i don't know what is exactly the meaning of this…do I need to scared? I finally discovered what 11:11 means. We are all one. The universe and everything in it is one. There is 1 creator. AS Jesus said, I and the Father are 1 and the same.There is no separate, individual self. 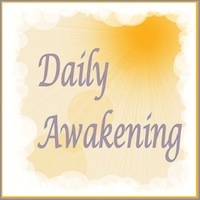 It is an illusion that creates pain and suffering, but when you know in your innermost being that we are one and connected to everything, it is experiencing heaven on earth. I'm glad you agree. I wish everyone gets it but that's not happening. I posted the site on facebook and nobody gave it a second thought. Oh well,.I guess I should admit that at times I forget it too. forget it often. It's a lifelong effort. I first noticed the 1111 one night I was working and ringing in a customer the total was $11.11 and when I rang off my cash for end of shift the time said 11:11 I said wow interesting. I went to the cash office counted all my cash and done the deposit slips which took about 15 minutes and when I went to the punch clock to end my shift on the time card read 11:11 but the actual time was 10:18 this was many years ago in 1992 and from that day to this. I see and I am very aware of the 1111 formation that is on my path. I recently had an appeal hearing and the last passage that was read was on page 11 of 11 and I took a moment as always and Thanked whom ever it is that are watching over me. I truly feel blessed although I am unsure of the meaning or significance. I am grateful. I had a good friend that passed away suddenly about a year and a half ago. This is something that would happen to him all the time. After his memorial service I was having a very difficult time. I said, "If you're still out there, can you give me some kind of a sign?" (Hadn't thought about the 11:11 thing in years) The very next day, out of the blue I picked up my phone and it said 11:11 !! I'm thinking I have a guardian angel. It happens to me all the time now. It was only this week that i became curious on how come these time clock 1:11, 11:11 have significant time stamp in my life or was it only accidental that when i look at the clock these past weeks at home or work i see these numbers. I clearly remember that i gave birth to my 1st son at exactly 1:11am of june 11, 2002 and my 2nd son at 11:11 of jan 28, 2005. And now as am trying to look for my cel phone to charge it, when i plug it on the time presented was 11:11. This is why i visited this page to see and check if there is a meaning or some kind of message in it because its happening more often ( i see time, 1:11, 11:11 and 5:55). I have been experiencing the 1111 phenomena for at least 5 years now. Digital clocks, of course. Also as remainders in accounting, a receipt number, the elapsed time of a phone call… I'm still not sure what to make of it but 1111 does seem to come to me more often in times of duress. I was introduced to 1111 during a reading with a clarevoyant and they explained the importance if it and the way it related to me in my life.. I was going through a very difficult time and it was validation for me.. I see it all the time now and take a deep breath. My boyfriend and i always say I love you when we notice the numbers too. i see 1111 and some times 222 and know that i know i am not alone i'm happy thanks!!!! My sister brought this to my attention several years ago. She asked me if I saw 1111 on my clock often. I said YES I do!!! Google this morning and so happy to see there are many others out there who believe it too. Thank you!!!!!! I have seen God,s Light when I received the HOly SPirit,and since then I have seen the 1111 all over,I also received a message 5 years ago that says''prepare yourselves" so prepare yourselves the time has never been so late as now! I have being seeing the number 1111 for quite some time and I now understand its meaning-I believe that the attitude that i have adopted towards life is the answer. I always try to think positively- i always find the moment to become more acquainted of the world around me and therefore, help those who do not find the time and the need to do the same. Best of all, those who are really trying to help us- show up instantly in my daily life. Peace and love for all!!!!!!!!!!!!!!!!. I have been seeing 11:11/9:11 or 1111 on a daily basis for the past year and I did not know what to make of it. I decided to check out your website and I am realy happy that I did. I was trying to figure out the reason for seeing these numbers for frequently. As I was reading all the comments I got an awakening like an AHA moment. Now it all makes sense, you see I lost my 14 year old daughter on November 10 1997 and she was be buried on the 11 of the 11 month. She was killed in a tragic car accident and I believe that she is my guardian angel looking over my family. She was born on the June 9, passed away on the 10 and buried on the 11 day of the 11 month. Is she trying to communicate with me or am I going nuts. Sometimes I am scared when the number turns up on the clock, the microwave or the stove. My son passed a little more than 3 yrs. ago.. Awhile after that, my microwave started beeping a lot. Sometimes sounded like morris code, which I don't understand. Things have happened to make me think this is his way of communicating with me. I often see 1111 on the microwave when it is doing it's beeping. It seems to beep most when things are happening within the family or with me. Can you help me to understand this?? My son was born on 11/11 my birthday is 12/11 and my other son is 03/11 as well..we are all born on the 11th day…. 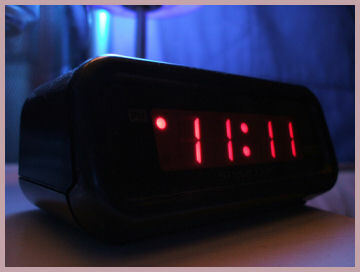 I was married on 6/11/11 and for the past year or so every time I look at the clock it seems to be 1:11 or 11:11. Another one that keeps popping up is 3:33 and 5:55. I’m always hoping it has a good meaning to it all as we have suffered 2 miscarriages and are still trying. Any thoughts or do I just look at the clock too much? Thanks in advance!